Slips and trips having been making people laugh since tv shows were in black and white. While slips and trips can be harmless, they can also lead to terrible injuries. Slip & falls and trip & falls are entirely avoidable in most circumstances. Often we see gas stations, banks, supermarkets, restaurants and other common places of public accommodation ignore federal, state, and municipal building codes, corporate safety rules, fall prevention guides, and ice removal recommendations to save money, effectively putting profits over the safety of their customers. We work hard to make sure that companies and corporations that make cost cutting choices that lead to injury pay for what they did and what they caused. See what a previous client says about us below. 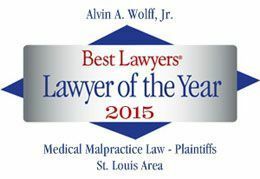 My husband and I highly recommend Alvin Wolff for legal representation. He was thorough, honest, diligent, and efficient. His experience was evident from the beginning. We especially liked the way he kept us informed and prepared throughout the entire process. He took the time to listen and explain in terms we understood. Alvin, Alex and the staff at Wolff & Wolff were professional, quick to respond and compassionate making an unpleasant situation a great experience. We felt well represented and we are very pleased with the outcome. We would highly recommend Alvin to anyone in need of an excellent attorney.